This episode was produced by Produce Your Podcast, a production company founded by today’s guest, Traci Deforge. Traci talks about her business, business partner Russ, her own podcast (Journey to There), and how to grow your audience. To check out Traci’s production services, click here. Have you ever felt like a podcaster is making you jump through hoops in order to be a guest on their show? When you’re busy running your business and getting interviewed several times per month, additional requests from hosts can feel like a burden. These requests may occur to you as hoops to jump through, when in reality, they are likely the very things that will help your interview be found by more listeners. A podcast host wouldn’t be doing their job if they didn’t ask you or anyone else they interacted with to subscribe! When more people subscribe, more people listen. Now, do you HAVE to subscribe? No. I don’t expect you to subscribe to every single podcast you appear on. Your phone would run out of storage pretty quickly! What you can do though, is download a couple episodes, listen, and if you like show and want to keep listening, then subscribe. Podcast hosts may ask you, as their guest, to leave a rating and review on iTunes for a couple of reasons. First, they want your feedback! By listening and leaving a review, you can leave your honest opinion about what you like and don’t like about their podcast. 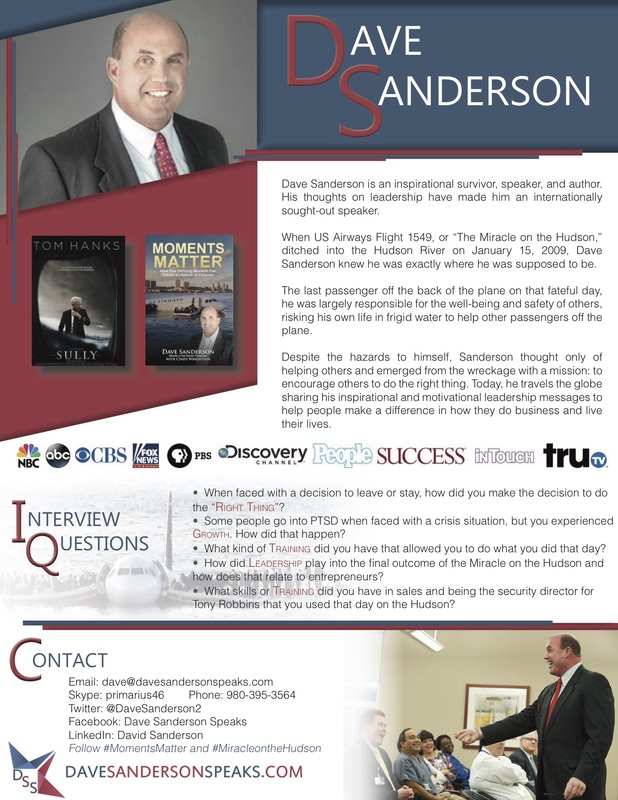 That being said… if you’re about to be interviewed on their show, I’d keep it to positive reviews only! Second, by leaving a review on iTunes, you may help their podcast rise in the rankings. It’s worth mentioning that there is no clear science on how shows are ranked in iTunes, but many hosts believe that reviews help their chances of being found by more listeners. And let’s face it, you want more listeners to hear your interview, right?! 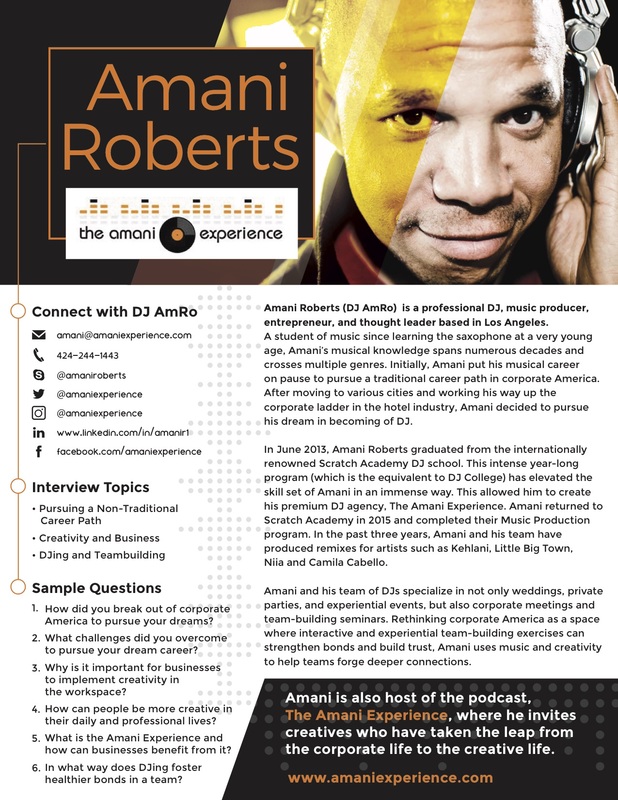 Podcast interviews are all about building relationships with other entrepreneurs in your industry! Following the hosts on social media isn’t a hoop you have to jump through, it is an opportunity to build your network, deepen your relationship with them and stay on their radar. To fully leverage the power of podcast interviews, you should absolutely be promoting your appearances! I’m not saying you have to spam your email list or be constantly sharing your interviews on social media, but what I am saying is that promoting your interviews will help you see more results because it helps position you as an in demand expert to your current followers. So remember, when you help podcast hosts grow their audience, they will help you grow your’s! Are you ready to get interviewed on podcasts? Apply here to work with us at Interview Connections! Julie Ryan, an experienced entrepreneur with the business credentials to impress anyone, also has the ability to communicate with people and pets (both living and deceased). In this episode, she talks with Jess and Margy about her experiences getting booked on shows as an Interview Connections client and how she goes on podcasts to talk about “woo-woo” topics. 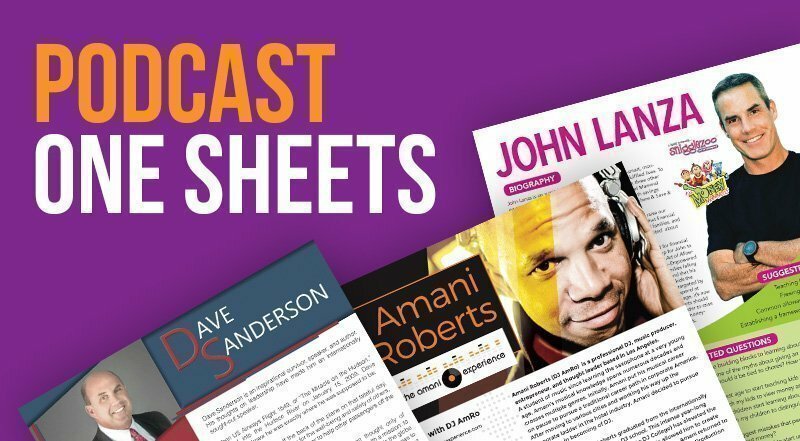 Podcast one sheets are super important when you’re getting booked on podcasts! They serve two main purposes. First, they communicate to podcast hosts why you are a great fit for their podcast. Second, they give podcast hosts everything they need to be prepared for an interview with you. Since our founding in 2013, we’ve created hundreds of one sheets and when we talk to podcast hosts, they always tell us how much they love them! Choose a high resolution photo where you look friendly and inviting. Headshots where you’re smiling and making eye contact with the camera tend to work best. Your bio should be written in third person so the host can easily read it as your intro to the podcast. Be sure to include your biggest accomplishments here so you show your credibility but stay away from subjective language. For more info on that, watch this video. Your one sheet should include a bullet pointed list of topics that podcast hosts could interview you about. These should be more broad than a specific question but targeted enough so the host can see how your interview will bring value to their audience. 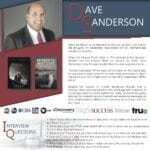 If you’re an author, you can get great interview topic ideas from the table of contents of your book! This is your opportunity to set yourself up for success on podcast interviews! What do you want hosts to ask you? Write questions that will set you up to talk about what will bring the most value to your target audience. Be sure to include your email, phone number, website and social media links. We also recommend including your Skype name since most hosts will interview you via Skype. 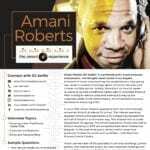 We strategize with our clients on their positioning and branding and create their one sheets for them! To work with us on your podcast interview strategy, apply today! Check out our music video that we made after being mentioned in a Forbes article! 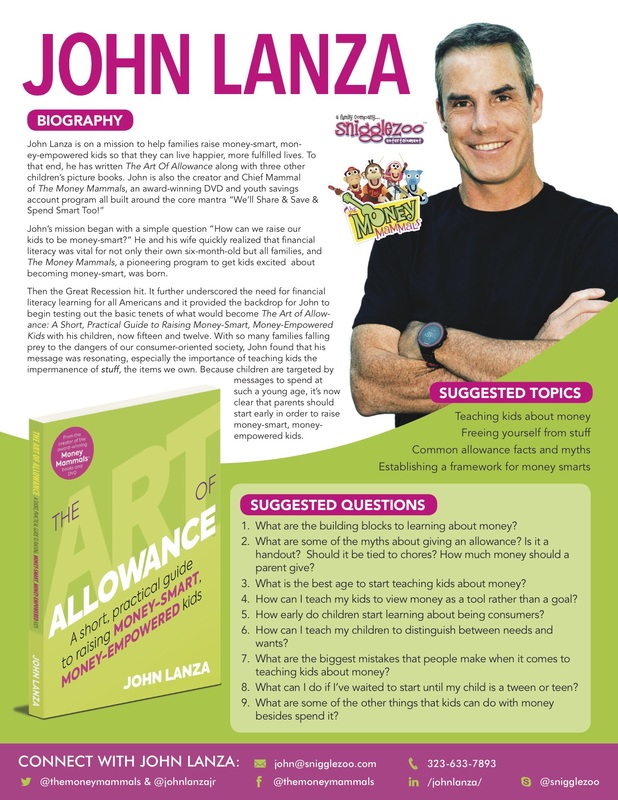 In this Zoom call, I was joined by Julie Broad, founder of Book Launchers to facilitate a Q&A about how to successfully launch and promote your book. Are there a lot of podcasts for Christian books? Getting booked on podcasts as a guest expert has enormous benefits for your branding and marketing strategy. Podcast interviews are great for your search engine optimization, lead generation and building relationships with referral partners in your niche. The most effective way to go about getting yourself booked on podcasts is to hire a podcast booking agency. 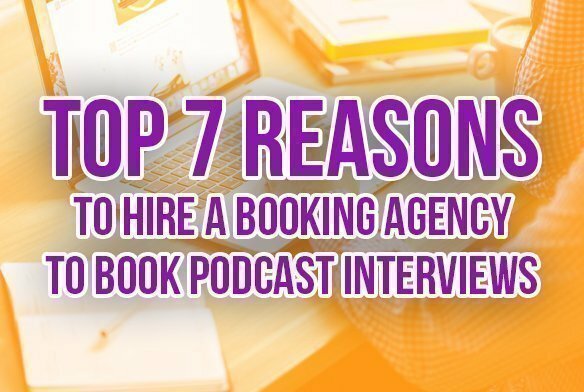 Hiring an agency that specializes in booking podcast interviews will save you time, money and get you the results you need faster. When you hire an agency to represent you to podcast hosts, you are not only investing in their time to pitch you, you are also benefiting from the existing connections they have with podcast hosts who have interviewed other clients they represent. 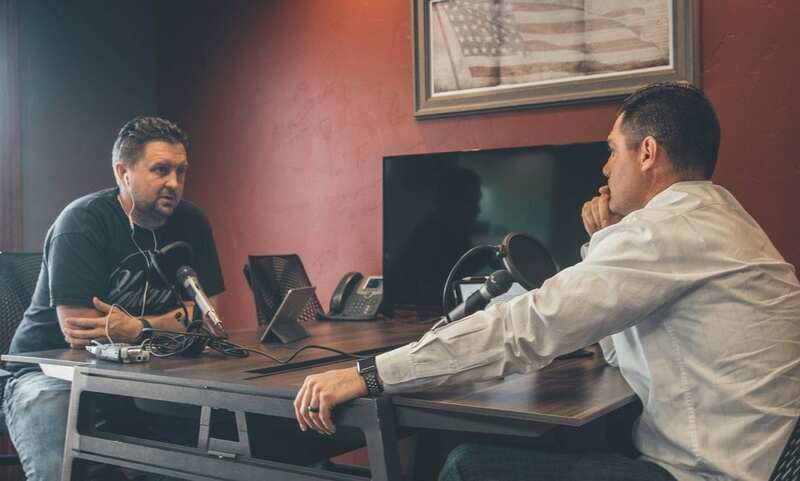 Our Booking Agents at Interview Connections have strong relationships with podcast hosts so as a client, you’ll be on the fast track to getting booked on leading podcasts in your niche. When you hire a podcast booking agency like Interview Connections, you are benefiting from the years of training our staff has in booking guest experts on top podcasts. Hiring an in house employee or virtual assistant to book you on podcasts will cost you a lot of time and money because you’ll need to spend time training and managing them or you’ll need to invest in someone else on your team to train and manage them. When you hire an agency to get booked on podcasts, you never have to worry about the headaches that come with staff turnover! Booking agencies like Interview Connections keep excellent records of all clients so you’ll always get great interviews regardless of employee turnover at your business or the agency. Pitching podcasters requires a very specific approach. A templated, scripted pitch will not cut it and unfortunately that’s what podcasters are getting from most in house team members who are pitching their bosses. Booking agencies know what podcasters want to see in a guest expert and they know how to write a pitch that gets a yes! Successful, in demand guest experts don’t try to cut corners or save a few bucks by having an assistant get them booked. By hiring a leading booking agency to represent you as a guest expert, you will be positioned in a way that has hosts excited to meet you and feature you to their audience. This reason is less about all agencies and more about working with Interview Connections! One of our biggest values is compassion towards people and animals so we regularly contribute to non profit organizations that work on issues close to our hearts. If you are ready to take your business and your brand to the next level, click here to apply to work with Interview Connections to get booked on podcasts! Cassi is leaving the Interview Connections team, so for her last episode of RTP, she and Alex talk with Kevin Bupp about what it’s like being on both sides of the mic. Kevin discusses his experiences being a guest and a host, how he manages his time when it comes to podcasting, how important it is to be a guest expert, and how he has managed to develop such a successful show with zero marketing. Interview Connections client and business consultant Mariko Briley talks with Jess and Margy about how she has grown, automated, and generated leads for her coaching business, and gives advice on what you can do to grow your own.